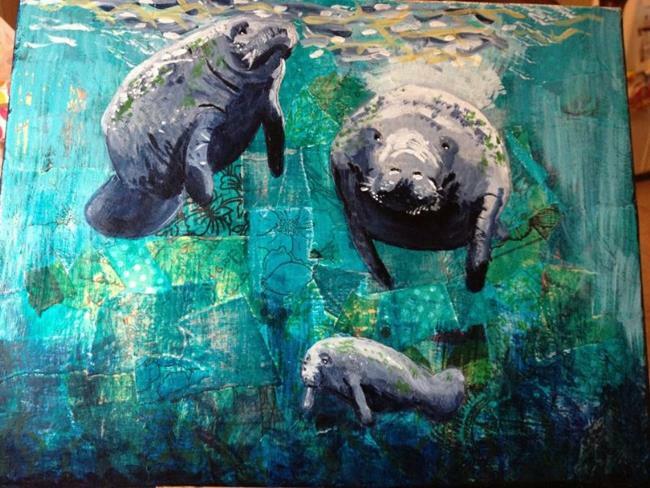 I had the opportunity to go swimming/snorkeling with manatees last year. It was one of those amazing adventures I never thought I'd be able to do. I did it while being 8 months pregnant as well. I felt like a sea cow. The people on the tour were calling me the manatee whisperer because they were following me everywhere. On that trip I had the chance to have a baby come right up and nuzzle my cheek. Awesome moment and awesome animals. I tried to capture that moment in this painting.